But this week I picked up a loaf of crusty-on-the-outside, chewy-on-the-inside ciabatta bread and a pint of gorgeous, colorful local cherry and grape tomatoes: purple, red, orange and yellow. Plus I just so happened to have half a container of ricotta cheese in my fridge. The time was right to make a down-to-earth version of Gabrielle's sandwich. 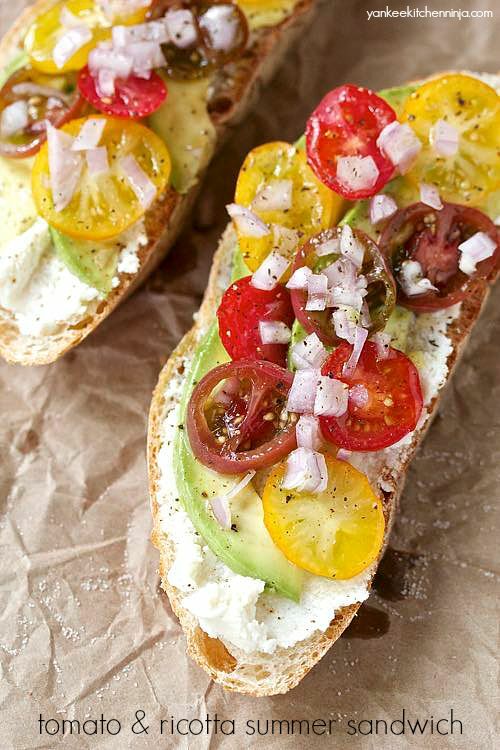 Slather some ricotta on the bread, top with thin slices of ripe avocado, sprinkle on thinly sliced tomatoes and a little diced shallot, garnish with a dash of coarse sea salt and fresh cracked pepper and then drizzle the lot with some good extra virgin olive oil. The. Best. Summer. Sandwich. EVAH. I do not lie. Sometimes simple truly is best. Given that you probably already have all the ingredients at your fingertips, are you ready for the best sandwich evah? Leave a comment: The Ninj wants to know. 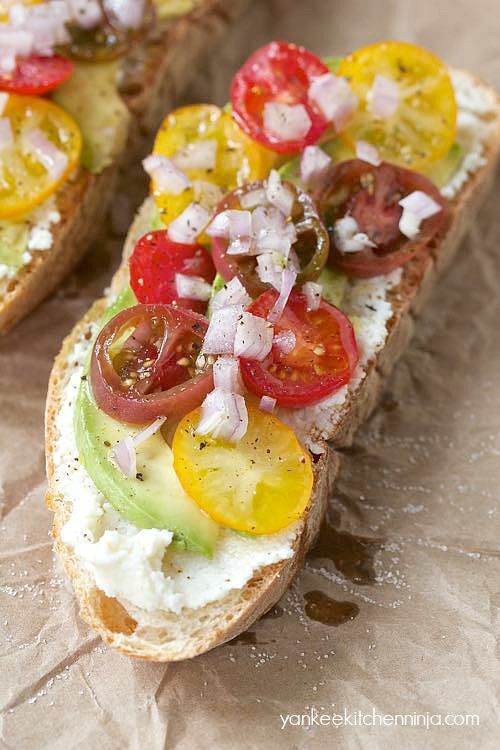 Spread 2 tablespoons ricotta on each slice of bread. Top with avocado slices. 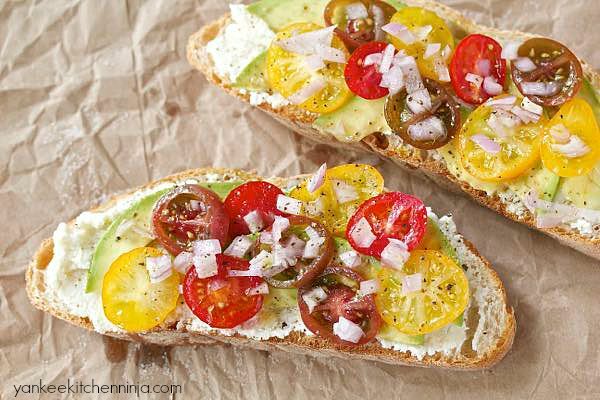 Divide the tomatoes evenly among the four slices, then sprinkle with the diced shallot. Season with salt and pepper, then drizzle each slice with olive oil. Serves 2 (adjust accordingly to feed more). Yes, you really do, Eileen. :-) Enjoy!